Whether you're looking for flights, accommodation, travel insurance, car hire, airport parking or transfers, Gocompare.com's core aim of getting you the right deal at the right price can get you on the road with confidence. We were the first comparison site to focus on showing you the features of insurance policies as well as the price, and this simple tenet remains central to our thinking about every product we offer. To help make your travel choices well informed and uncomplicated, we aim to provide you with the information you need and an easy-to-use comparison service. Whatever your travel needs, we hope you give us a try. We're continually working to improve services across all products with the aim of connecting our customers to the right information, boosting knowledge and making their lives that little bit easier. That could be within our quote journey, through our customer service, in our ever-expanding range of product guides, articles and videos, or by using our interactive tools and infographics. Our travel insurance partners theidol.com show you Defaqto product ratings - star-graded reviews of policies from an independent financial research company which is recognised and respected throughout the insurance world. Our flight comparisons are powered by Skyscanner and let you compare millions of flights in a single search. Book your holidays, hotels, car hire, airport parking and transfers with us and you know you can book with confidence - our partner weholiday.co.uk benefits from ABTA and ATOL membership. Remember that we don't charge our customers for using our service and we're unbiased - we don't accept advertising or sponsored listings. 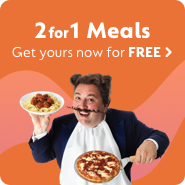 You can also rest assured that Gocompare.com won't sell your data and won't add fees or commissions to the prices you compare.